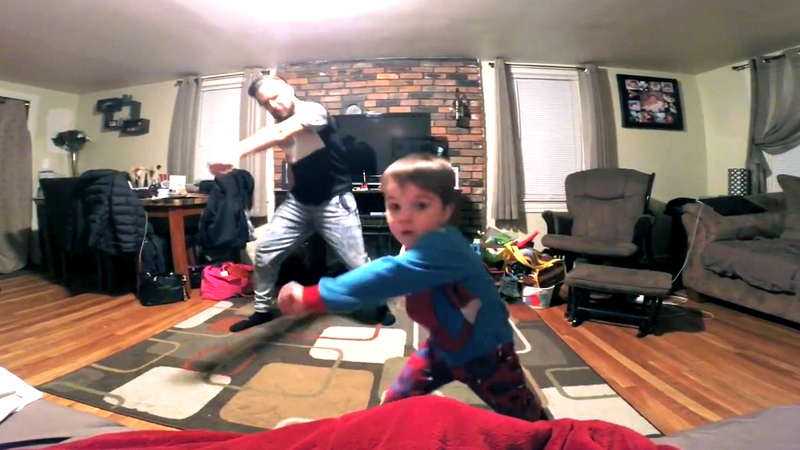 Father and son choreograph breakdance to Little Einstein, on The Feed! Some of the latest and greatest viral videos include an adorable father-son dance routine and a bear cooling off in a swimming pool. In this video posted by ArtisticDanceStudio1, professional dancer and choreographer to the stars Keith Silva and his 4-year-old son Jayden put on a super cute show to a remixed version of the Little Einstein theme song. And, like father, like son -- the kid has got some moves. Bruiser bear is thoroughly enjoying his daily pool playtime in this video from singlevisioninc. He is one of the non-human residents at Single Vision wildlife sanctuary in Melrose, Florida -- an organization on a mission to educate the public on the plight of wild animals.